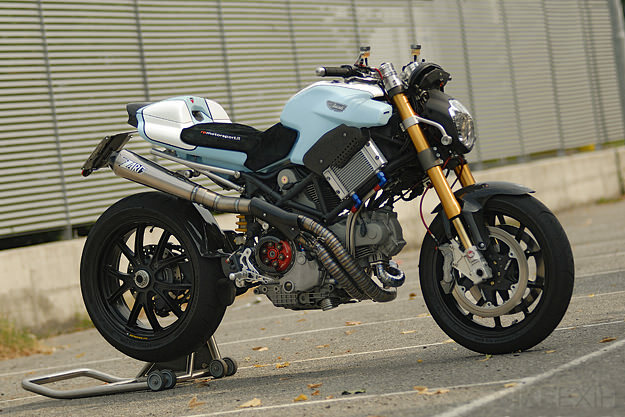 The first incarnation of the Multistrada was an awkward machine. 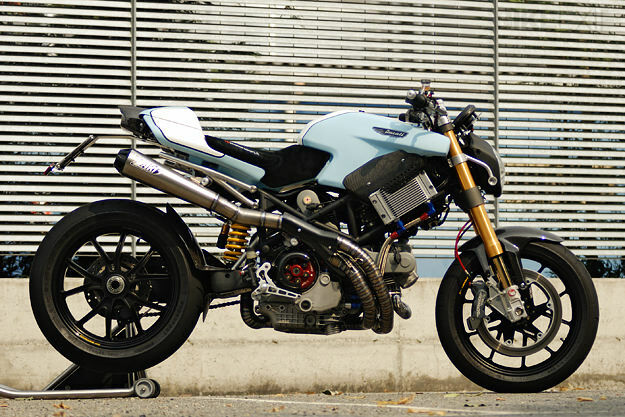 But this unusual custom has transformed Ducati’s ugly duckling into a swan. It’s called “Biuta” and it was created by Carlo Roscio of Pavi, a town in Lombardy some 35 kilometers south of Milan. 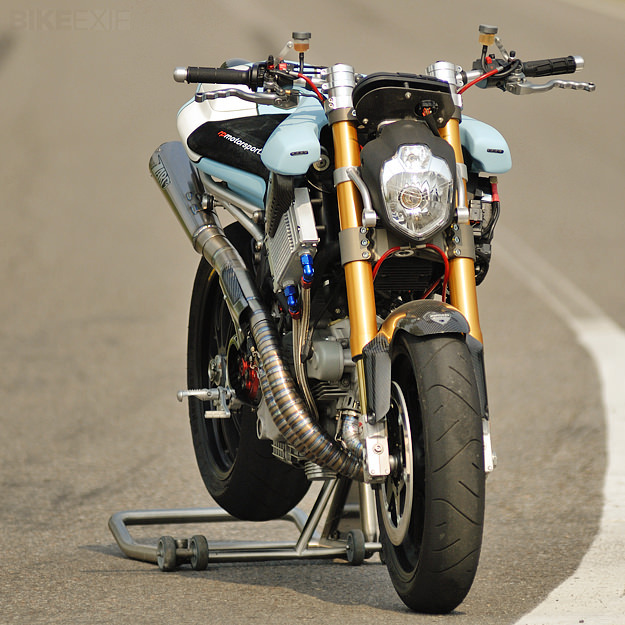 With the help of his brother, Carlo has built a mongrel of a machine. 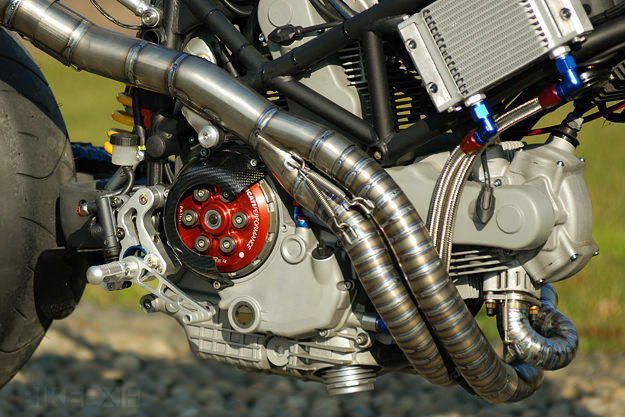 The suspension is Honda-spec Öhlins all round—with forks from a VTR1000 SP-2, and shocks from an unspecified CBR. 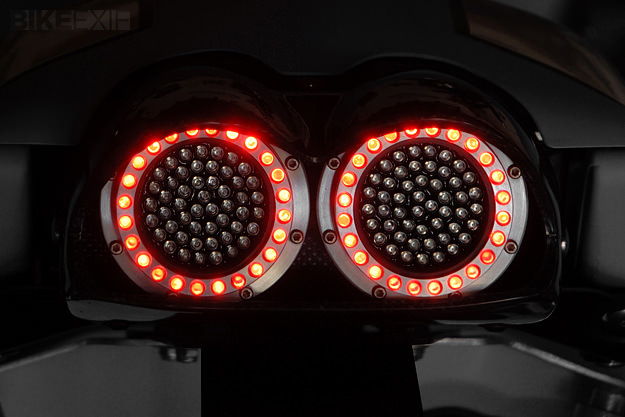 The headlight is from a Yamaha MT-03, and the tail is modeled on the Aprilia RSV unit, recreated using carbon fiber. 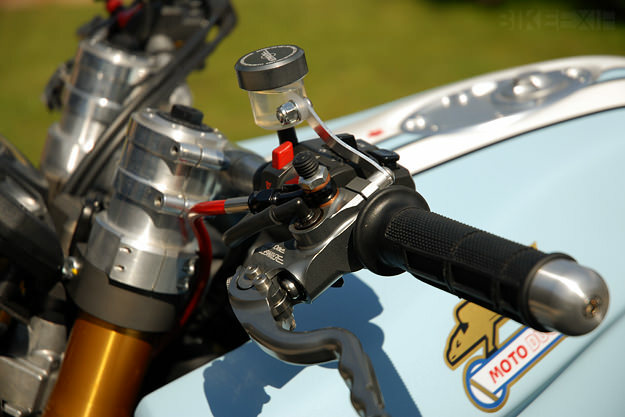 The side-mounted oil cooler is a racecar fitment; the sinuous exhaust is a hand-made one-off from Zard. A Beringer braking system keeps the forged aluminum Marchesini wheels in check. There are some very pricey parts there, but the Roscio brothers have stayed on the right side of the line. “Biuta” is beautifully judged, and is no doubt tremendous fun to ride. It’s a classic case of the whole being greater than the sum of its parts. And who’d have thought there’s a Multistrada under there? Spotted on the excellent Il Ducatista, via Ducatimultistrada.it.